Each and every Wheelys café is run by a person with a heart and dreams. Each of these owners is a fighter in the struggle against the giant global mega-brands that have crushed all the small local competition and taken over the cities of the world for the last forty years. This is the beginning of a social revolution that will sweep with it and a lot of other previously immune companies. 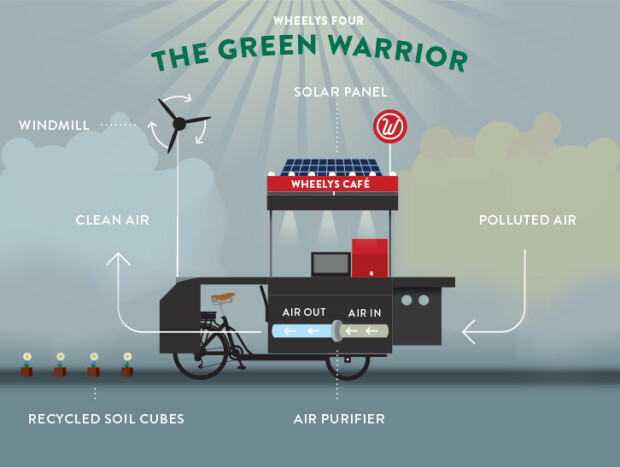 The Wheelys 4 GREEN WARRIOR is a crowd-funded (at Indiegogo) chain of full service café mounted on the back of bicycle powered by the sun, the wind and your legs. It includes all the equipment needed to make fresh coffee on the go. Wheelys is different from others. From the day they started Wheelys, they have been serving organic, vegetarian food from cafés that run on the energy from your body and the sun only. 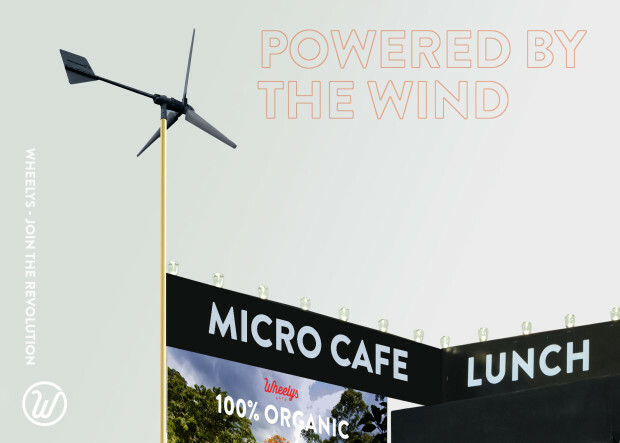 Each generation of the eco-friendly mini-cafés just gets better and better: the newest model, the Wheelys 4 Green Warrior, takes the chain's sustainable focus further than ever before. Wheelys Café is a dream opportunity for entrepreneurs and founders who want to leap frog into their own high-quality franchise. Entrepreneurs will be able to profit from this brilliant business model; and consumers still want face-to-face with the smiling barista. 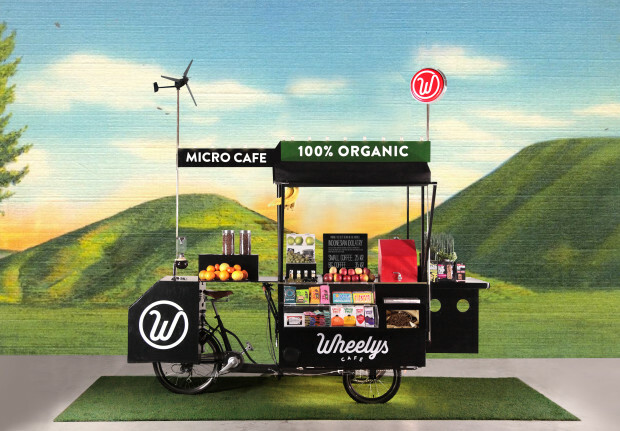 Wheelys Café is an YC backed company, with cafés in over 50 countries. You can pre-order it -- it starts at $3499. Wheelys is a movement. Among their investors are Paul Buchheit (creator of Gmail), Jared Friedman (founder of Scribd), and Justin Waldron (co- founder of Zynga). Wheelys CEO is the 27 year old Maria De La Croix, the only CEOs of a global food company with blue hair. The Wheelys 4 Green Warrior is the result of YEARS of research, design, development, testing, health-regulation studies, and millions of cups of coffee. Wheelys is taking the art of coffee making to new level, while coffee shops are static, this coffee shop is portable, you can take to festivals, events, markets and even down to the beach, there are always coffee fans around and the Wheelys goes to the customers, not the other way around, which could be enough to make all of the difference between a successful business and one that fails. As per some prediction, if the Wheelys Cafés hits 1000+ cafe on-the-ground, Starbucks, Dunkin' and the illy corporate brands will try copying them. Could they hit 5,000 cafés in 5 years? Wheelys 4 doesn't just want cafe owners to stop harming the environment; they want to give them ways to start helping it. 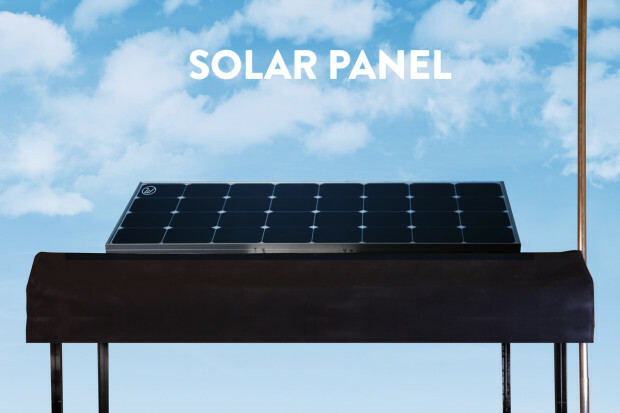 This version of the Wheelys lets you recycle your coffee grounds in small planter boxes (the Wheelys team calls it guerrilla gardening), it comes with a solar panel, and built-in air purifying tech that removes smog particles from the air. One of the great advantages of Wheelys is the Wheelys app. Customers can find you, order, and pay for their coffee before they even physically get there. For the Wheeler, the app is a smooth way to re-stock supplies and keep track of inventory. The app will be launched Summer 2016!